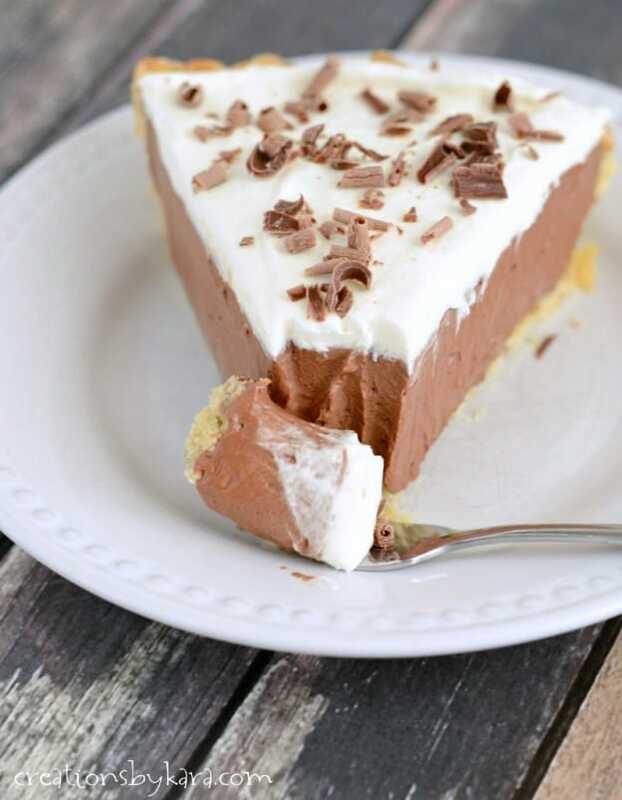 French Silk Pie – Smooth, rich, and creamy, this chocolate pie is a dessert of epic proportions! I have always wanted to make French Silk Pie, but for some reason I kept putting it off. I finally got around to it last year for Thanksgiving. It was such a huge hit that I only got a sliver. And let me tell you, that was not nearly enough! What is the difference between chocolate cream pie and French silk pie? 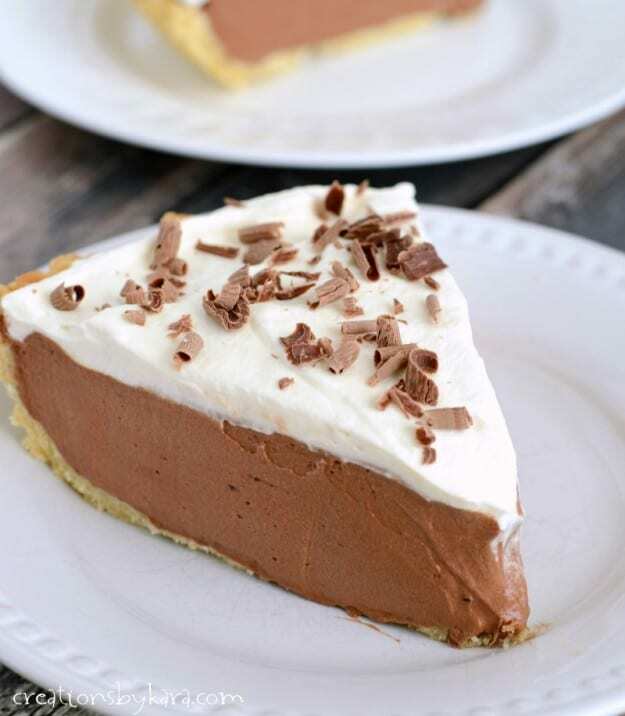 Chocolate cream pie is made with a basic pudding that has milk, eggs, sugar, chocolate, and a thickener like cornstarch. The pudding is cooked on the stovetop, and has a creamy but more dense texture. 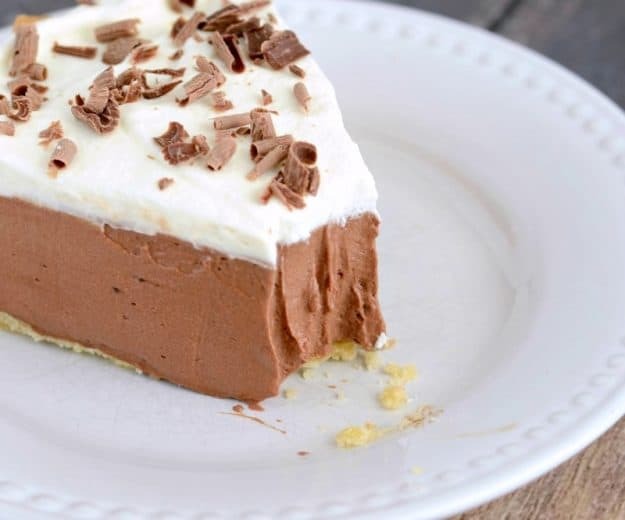 French silk pie is made with whipping cream, eggs, sugar, chocolate, and butter. Part of it it is cooked over the stovetop. 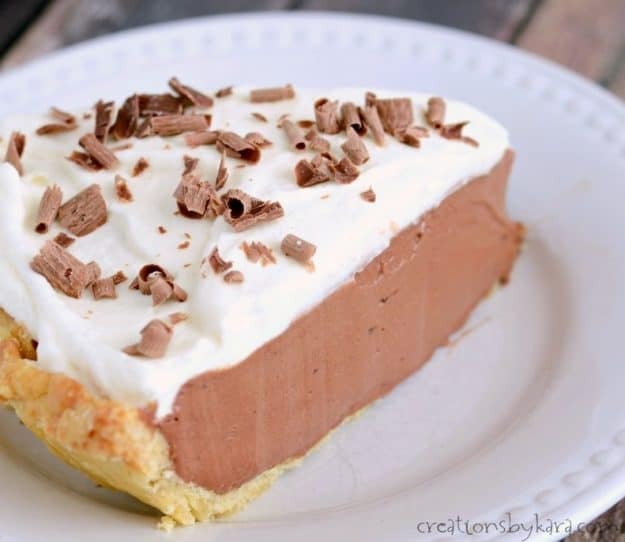 It has a rich, creamy texture, but due to the whipping cream it is more fluffy than chocolate cream pie. This pie is rich and creamy, and absolutely out of this world. One of the best pies I have ever tasted! I think I may have actually dreamed about it, and I could not wait for another excuse to make it again. After waiting for several months for the perfect occasion to make French Silk Pie again, I decided I didn’t need a holiday to experience this heavenly dessert again. I just needed to get it in my mouth again! This pie does take awhile to make, but trust me, it is absolutely worth it. It is one of the best pies that I have ever eaten! If you love chocolate, you have to give it a try! First you whip up some fresh cream, then melt your chocolate. Set both aside. Place your eggs, sugar, and water into a double boiler (or glass or metal bowl that can fit barely inside one of your saucepans). Beat the mixture for at least 5 minutes, or till very thick and pale yellow. Cook the mixture over boiling water until it reaches 160°, whisking often. Remove it from the heat and beat for another 8-10 minutes, or until cooled and fluffy. Add the melted chocolate and vanilla. Beat in some softened butter, then fold in the whipped cream. Pour into a baked pastry shell. 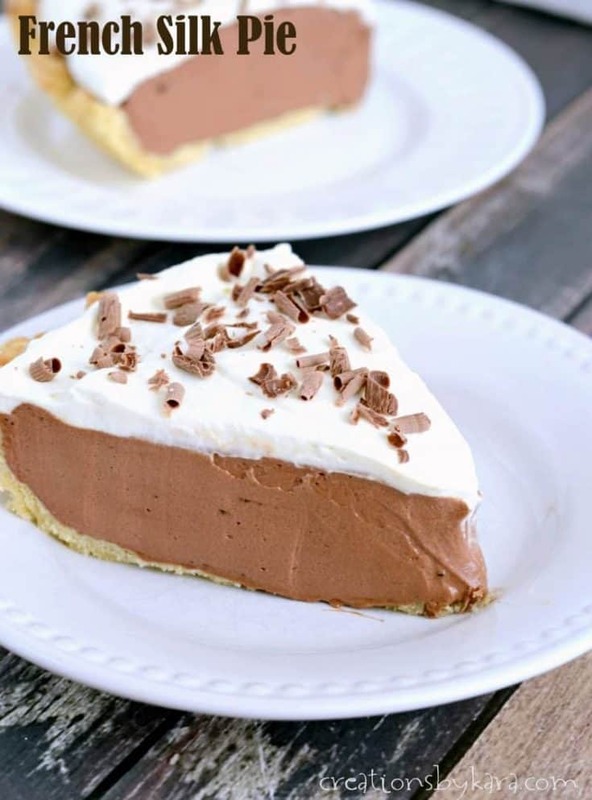 Finish up your pie by topping it with sweetened whipped cream and chocolate curls. Chill for at least 2 hours. Trust me, after one bite, you will know that this French Silk Pie was worth all the effort! How do I store French Silk Pie? You definitely want to store your pie in the refrigerator. Leftovers will last for 2-3 days in the fridge if covered tightly or stored in an airtight container. However, if you need to make it ahead of time, I suggest just adding the chocolate filling. Cover it and refrigerate. When you are ready to serve, add the whipped cream and chocolate curls. Smooth, rich, and creamy chocolate pie topped with whipped cream. Whip cream in a mixing bowl till stiff peaks form. Cover and chill. Melt chopped chocolate in a glass bowl in the microwave at half power, stirring every 30 seconds till smooth. Set aside. Place eggs, sugar, and water in a glass bowl or double boiler. Beat with an electric mixer for at least 5 minutes, or till very pale yellow and thick. Place bowl over a pot of simmering water that is slightly smaller than your bowl. You don't want it to touch the water. Cook and whisk till mixture reaches 160°. Remove egg mixture from heat. Beat for another 8 minutes or till cooled and fluffy. Don't under-mix!! Add melted chocolate and vanilla and beat till smooth. Beat in the soft butter, then fold in the whipped cream. Pour mixture into the pie crust and spread evenly. Beat the 1/2 cup cream till soft peaks form. Add the powdered sugar and vanilla and beat till smooth. Spread over the chocolate filling. Cover and chill for at least 2 hours. Just before serving, garnish with chocolate curls or shavings. If you love chocolate, you will love these recipes too! Craving for this pie! I need to try this immediately, it looks so good! French silk pie is my favorite! Great recipe… especially with those chocolate curls. YUM! This is one of our favorites!!! Thanks for sharing! This is the best french silk pie – perfect every time! I don’t have a double boiler either, I used the option of placing a glass bowl over a saucepan. Works like a charm! Just make sure the bowl is larger than the saucepan so it doesn’t sink in so far that the bottom touches the water. Could this pie be made using just a hand mixer versus a kitchen aid mixer? Yes, you can definitely use an electric hand mixer. You may need to beat the egg mixture longer than 8 minutes if your hand mixer isn’t very powerful. 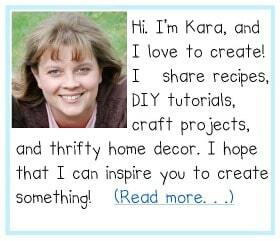 Thank you, Kara. Can’t wait to make this pie!! Kara…you are killing my diet!!! I’m trying so hard to be good and not put back on the weight I lost but this is just to yummy to pass up. I’m going to the store for the ingredients in the morning. Another yummy looking treat. How does the pie do overnight ? How would this do made the day before?? The pie held up ok perfect over night, but I have a secret for the whip cream topping. I sprinkle on a 1/2 teaspoon of unflavored knox gelatin before beating cream. Cover loosely. It holds up for 3 days. Thanks so much for the tip about the cream Linda! This French Silk pie is to die for. I made, for the first time, for Thanksgiving. I’m already planning to make it again for Christmas. Thanks you Kara for this wonderful recipe.